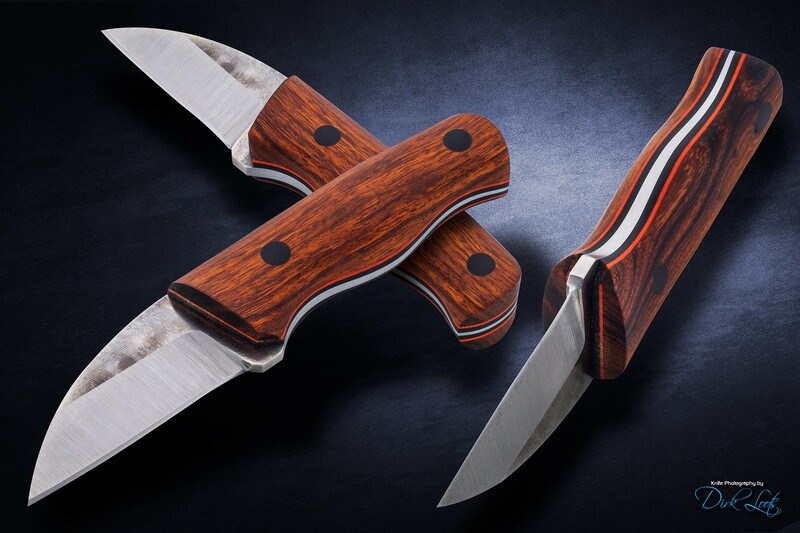 Discussion in 'Fiddleback Forge Knives' started by VANCE, Jun 14, 2018. I asked Dirk to take a couple pics of the knife @Cohutta and I finished during the 4hr build off during the last Ga Custom Knifemakers Guild meeting. If you are wanting to get a special knife made to look it's best he's a great guy to check out. Pretty nice fella and knife maker to boot. Funny accent though. Lady1911, ty_higg, MTBmonkey and 4 others like this. @DirkLootsPhotography Dirk is a great guy, knife maker, photographer and all around artist. Don’t ever hesitate to reach out to him. He does phenomenal work and is great to work with. Dragonflybladewrks, Warrior108, Kal-El and 6 others like this. It was a pleasure meeting @DirkLootsPhotography at Blade. Really cool guy!! Have some of his knives as well. Beautiful work. Dragonflybladewrks, Warrior108, Kal-El and 2 others like this. Olde Towne Cutlery has really stepped up in supporting Fiddleback and related craftsman. Thank for sharing the pics! Dragonflybladewrks, Kal-El and pertinux like this. Thank you for the plug! We are honored to represent such a talented pool of knifemakers. When Melissa and I started this, we really didn’t know what category of knives would do well. So we sorta tried everything. We immediately realized that custom knives were where we could shine. It’s our passion and where we want to be in the industry. So I think we figured out what we want to be when we grow up. And when we come across guys like Dirk Loots, we couldn’t be happier. He is an awesome guy and phenomenal knife maker. Stay tuned to his page. Btw, that bluebird it still available. It was his first knife he made as an American. Dirk will be a famous Knifemaker in the league of Loveless. I assure you. He’s that good. So that piece is a special knife and is a good investment. He’s a rock star!